NORTH EAST shoppers in need of a breath of fresh air can take advantage of something new – and free – this weekend at intu Metrocentre, for a limited time only. 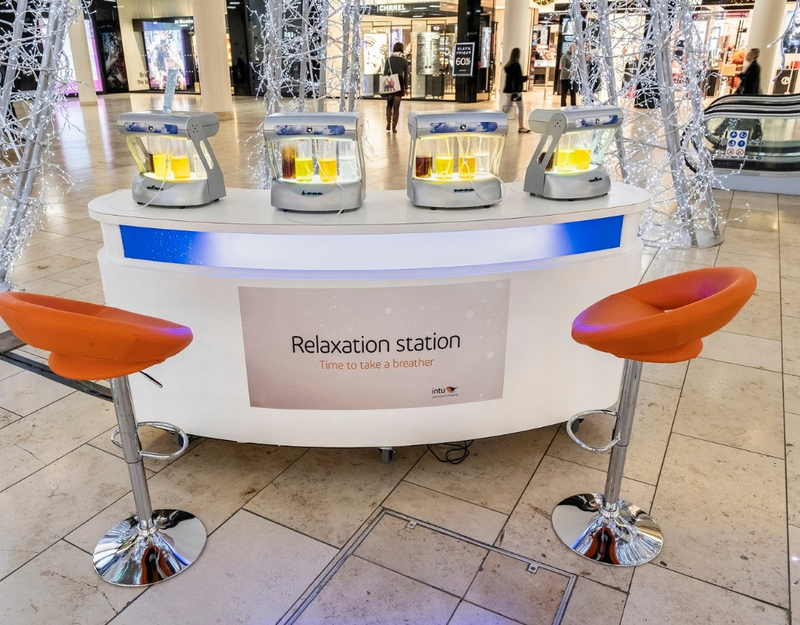 From Friday 30 November to Sunday 2 December, a pop-up oxygen bar Relaxation Station will take up residence in the shopping centre’s Town Square (next to House of Fraser) underneath the tree of lights. Oxygen bars, where people go to breathe in oxygen in a purer form, have grown in popularity over recent years, with its benefits believed to include general relaxation, stress reduction, increased energy and heightened concentration and alertness. The ‘treatment’ has also been said to help improve memory, however it is more typically known for and used as a quick fix for lessening the effects of hangovers, headaches and sinus problems – perfect for this time of year when flu can set in. At the free pop-up created as a calming oasis for visitors out and about this weekend, the oxygen comes in a range of infused flavours and the experience lasts for five minutes. The team at intu Metrocentre is inviting shoppers to come in from the cold to recharge their batteries at the Relaxation Station, whether taking a break from some Christmas shopping or escaping their winter woes. Flavours include cinnamon, lemon, orange and eucalyptus.